In July 2014 I held auditions for Oedipus Rex-World premiere in Amsterdam at the Greek Community centre. 60 people showed up. In September 2014 we started rehearsals with a cast of 29 International Artists. The cast consisted of professional actors, beginners and amateurs. 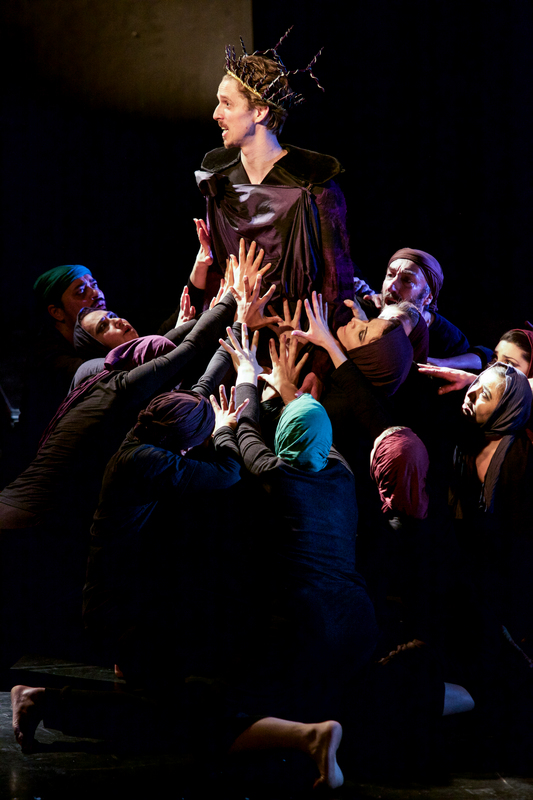 The role of Oedipus was trusted in a young, upcoming and talented Dutch actor, Laurens De Groot. Most of the principle roles were given to professional or trained actors. The chorus consisted of beginner artists and amateurs. We could only meet on Saturdays. So we spent the next 24 Saturdays together. In February 2015 we opened at the theatre of the University of Amsterdam, under the patronage of the Greek Embassy in the Netherlands, with the support of the Department of Modern Greek Studies at the University of Amsterdam and the support of the National Greek Organisation of Tourism. We were sold out for all performances. “Every once in a while you see a production that takes your breath away. Or makes you feel like you’ve been punched in the gut. Which is good. And this is one. Theater should move you, and this production did that for me. As the audience enters, the citizens of Thebes move around on stage supplicating to the gods and their king, powerfully underscored musically, setting the mood of desperation. A powerful choice, right from the start. And it just goes on from there. There were powerful and moving individual performances and monologues carrying the story of Oedipus, who slowly learns of his fate, as in a detective story avant la lettre. 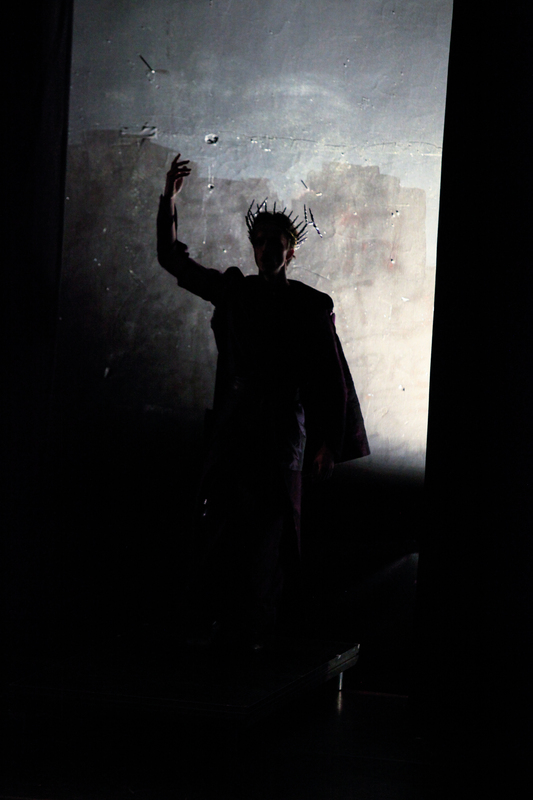 Great praise to Laurens de Groot for Oedipus, Teri Vakaki for Jocasta, and Andy Cowie for Creon. Special praise for Henrietta Bryant for her performance of the maid to report the death of Jocasta and the blinding of Oedipus. But in fact everyone on stage did a great job. 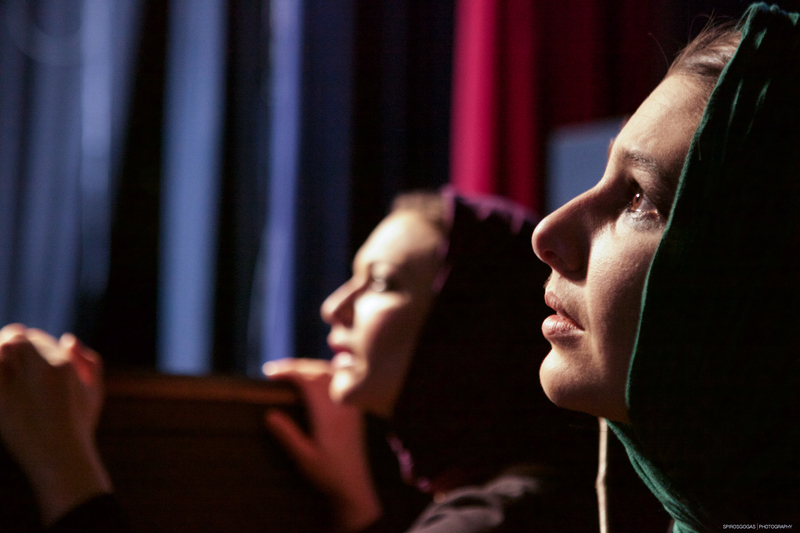 The ensemble work was seamless, each actor continually contributing to the mood, and keeping focus throughout. Great costume work by Tamira Lankamp, and loved the set! Congratulations Theodora Voutsa for your vision and direction, and to cast and crew for an awesome production! 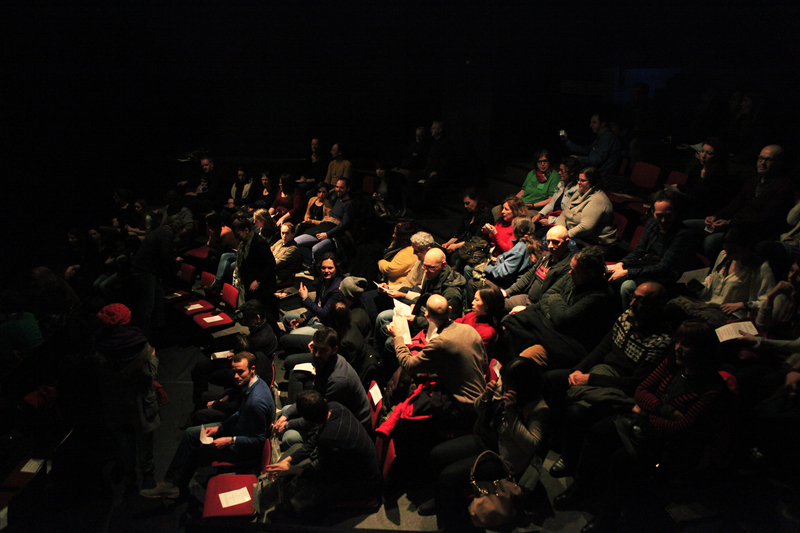 It was a wonderful experience for the audience as well as for the artists. Theatre is therapeutical. 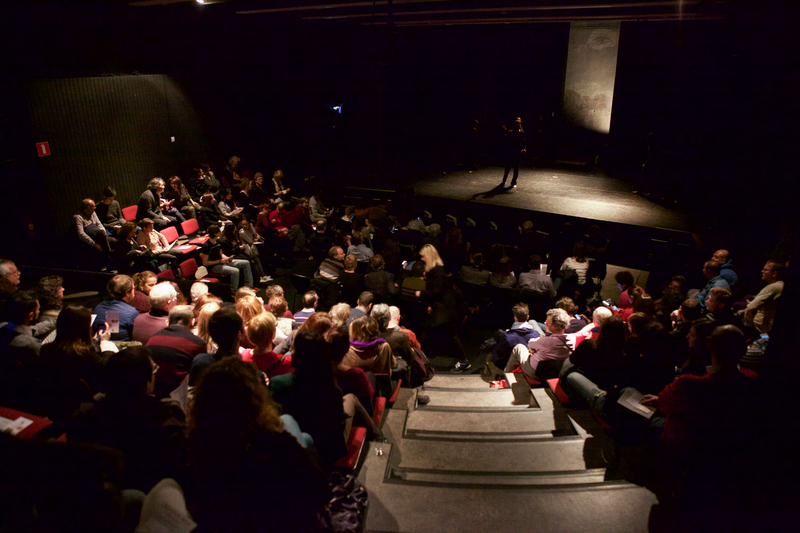 Theatre can bring communities together. Theatre can teach a human being that they are perfect and 100% responsible of their reality. Theatre can show a person how they can achieve any goal they set their mind to. Theatre liberates you! 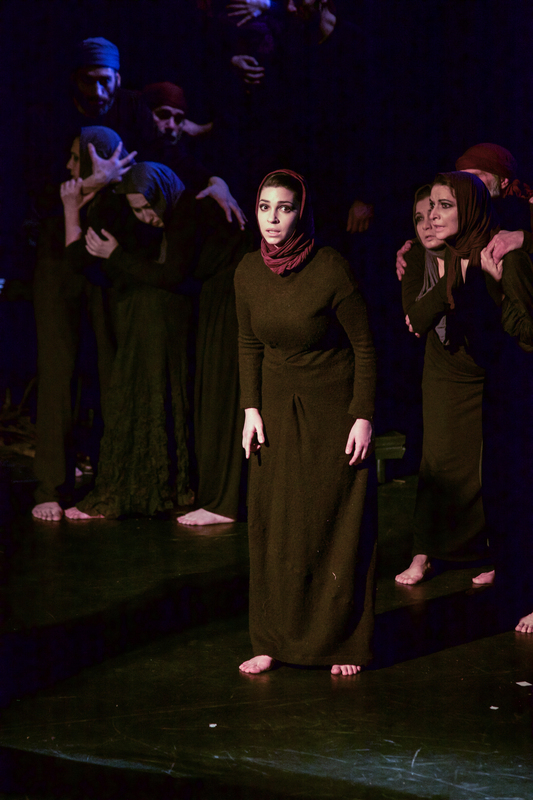 I landed in a cast like wind swept parachute; culminated in two roles, albeit small, priest and chorus in the professional play of Oedipus Rex, by Theodora Voutsa, which was performed at the UVA Theatre Feb/March 2015. We spent six months preparing, each rehearsal was extraordinary, often culminating in severe emotions from love to anger and back to love plus everything in between. Oedipus Rex haunt?, I wonder 🙂 … but what a performance, standing ovation on all three days!! and even more incredible was the cast and everyone that made this possible from photoshoots, to sound, lighting, each individual.. sacrifice, love, bonding.. just very good…good… people; and at the top with the vision to make it happen… Theodora. Reblogged this on Antigone | World Premiere | by TVP Foundation. PreviousWhy Acting Techniques can improve your life.